Kay - Maybe it is the third person that makes the difference with audio... she is definitely not what you'd call quiet! I come here for the books (and the reader!) but you keep sending me off to yet another food blog! :) Enjoy the warm sunshine ... we seem to be having either warm or sunshine but never both together lately! Ooh - I'm jealous of your beach time! And glad you're enjoying The Mothers...if not getting a bit frustrated. 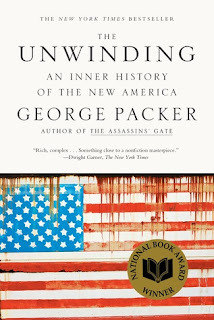 And I'll be interested to hear how The Unwinding is...I had it on my TBR awhile back, then took it off, and now thinking of putting it back on. Sarah - I hope to finish The Mothers today. The writing is definitely the strong point! Might concentrate on The Unwinding next. Oh, to be in sunny Florida this time of year! I can only listen to audio books in the car when I'm by myself. Kathy - It's taken a while to accept, but that's the case for me now, too. I love living vicariously through you :) We are giving thought to snowbirding in florida (probably the gulf side as it is closer to Kansas) - but that is a few years away. We do plan to visit this fall, however, and see if it is a glorious as we envision. Oh, I hope you enjoy your "beachy" sojourn...and relax! It's wonderful that you get to travel south for the winter...enjoy. I loved The Mothers, but yes, those characters often made such bad choices! Enjoy. Glad you made it safely! I love sand dollars too, but agree that they are hard to find these days. Years ago it was so much easier. I hope you enjoy your stay and your time with family. Vicki - Finding those sand dollars seems like a good omen for the winter... it's been SO long since I've seen them. My daughter-in-law and son are always finding sand dollars at the beach here along the Texas Gulf Coast. I've never found one. What am I doing wrong? The Mothers sounds fascinating. I need to read more fiction. I'll see if I can get to that one. Deb - I think the writing is the best part of The Mothers. She's an author to keep an eye on! What pretty pictures! Glad you got back and are ready to enjoy the winter in such a lovely place. I have tried doing audios in the car I just can't keep up with the narrative. I can only seem to do audios at the gym. Looking forward to more of your thoughts on The Mothers! Iliana - I love walking with an audiobook. I also listen now if I wake up during the night and can't fall back to sleep! 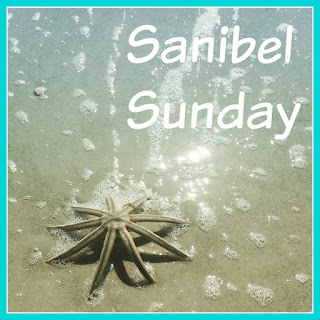 Oh that's great you got to Sanibel! Envious. What a nice place. Enjoy for us all! I like sand dollars too, so cool. The characters' bad choices in The Mothers were too much for me by the end of the book, but still I am glad I read it. Susan - I'll probably finish The Mothers today. It took another strange/bad choice turn last night... even more frustrated with these characters now! I know you are evermore glad to get back to Sanibel; I would be too! I've just finished The Only Street in Paris (enjoyed very much) and have just begun reading Do Not Say We Have Nothing by Madeleine Thien. It was short-listed for the 2016 Man Booker Prize. You'll hear more from me on this one after I've finished it. I have painters coming tomorrow and work going on which will mean less reading time. I'm looking forward to seeing you and Zelda do the Sanibel Stoop. Thought about Sanibel today as I was packing up some of my shells and make way for the painters. Have fun! 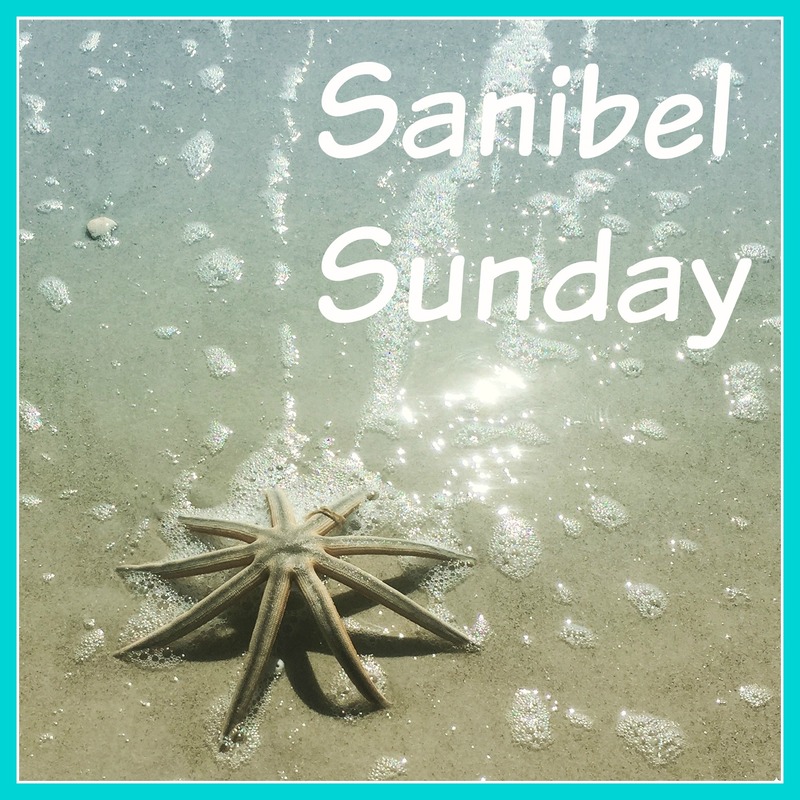 Sanibel! Nice place to be. And a tad warmer than up here I reckon. :) Love the pics. Dip your toes in the surf for me lol. Sand dollars- love those! Have fun if you go to KW! And enjoy the sun! Greg - My parents and siblings are bracing for the midwest ice storm now.. so glad I'm here! I had forgotten about sand dollars. I used to find them a lot when I lived in Ft Myers. Beautiful. I can only listen to audio in the car too when I am alone. I am reading a non fiction of a 71 yr old man who has just ridden his bicycle from New Hampshire to San Francisco. Will post about it when finished. Have a wonderful winter. Oh my...this is the year I need to be somewhere warm and I can't go anywhere. Your days sound lovely! I am reading Amanda Erye Ward's newest book and it's lovely! Patty - I'll be heading over to your blog soon to get caught up. Glad your current reads are good, and I hope Den is feeling better. I do love a casual stroll along a beach... Soak up that sun for me! Tho, I can't complain about NC winters even if we had 8 inches last week. It's all gone and back to 70 yesterday. I read The Unwinding when it first came out and thought it was incredible. Super curious how it will hold up now, a few years later - it seems like SO MUCH has changed - and look forward to seeing what you think. Glad to hear you're safely in Florida and I must admit I'm a little jealous. To be able to eat outside in January...so awesome! 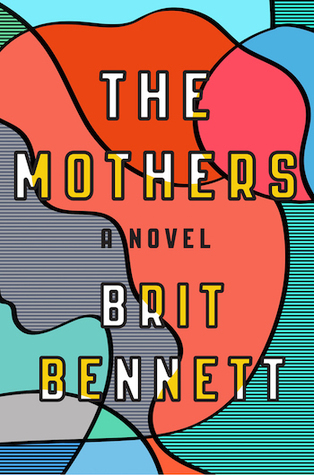 I thought the writing in The Mothers was truly the very best part of Bennett's wonderful debut. Susie - The writing is certainly the best part of The Mothers. Bennett is an author to watch! Ahhhh, you're enjoying sunny Florida as I prepare to head out to work on this icy morning. Fortunately, we won't open the store until noon (why even bother, I ask! ), so hopefully the roads won't be too bad. I'm just thankful we didn't lose power and that the ice isn't too bad with regard to the trees and power lines. My hubby says the roads aren't bad once you get out of the residential areas. I found a sand dollar while walking on the beach in Bandon, OR a couple of years ago, but it's been ages since I've seen very many at one time. Most were broken, so I was doing a happy dance when I found one fully intact. I put the turkey burger recipe in my Evernote folder and hope to try it when we are in Oregon. I doubt I can convince my husband to eat one, but maybe my mom will give them a try. :) They look delicious! Les - My husband isn't thrilled with the turkey burgers, but I've made some to keep in the freezer as an alternative to beef. The sun-dried tomatoes, pesto, and cheese taste SO good together! JaneGS - A farmer's market in January feels like heaven... definitely the freshest seafood ever! I finished The Mothers this afternoon. The writing is the real star, but great characters and story, too. I'm wavering between 4 and 4.5 stars. Tara - I finished The Mothers this afternoon and can't believe that author is in her 20s... such a good book!! And so it begins - Jealous of JoAnn season! Lisa - Yes, I'm so happy to finally be here! Florida! How wonderful, have a great time. Cold, grey and wet here in England! Vintage Reading - England sounds much the same as our home in upstate New York... all things considered, I'm very happy to be here in sunny Florda for the winter! I am planning to read the NYT book list to explain election, but The Unwinding was a DNF for me. Hopefully I can join in the discussion next month. I look forward to seeing what you think of The Mothers as you read further along. The characters are frustrating, yes. So glad that you finally made it to Sanibel after the bout of illnesses and colds! 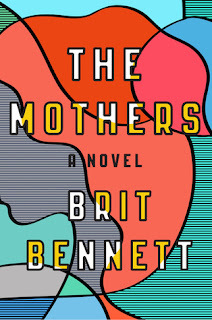 The Mothers is one of the books I want to read this year. Let's see. Love the cover and love the blurb. Athira - We're finally settled in now... almost feels like we never left! Hope you get a chance to read The Mothers. I ended up rating it 4.5 stars.